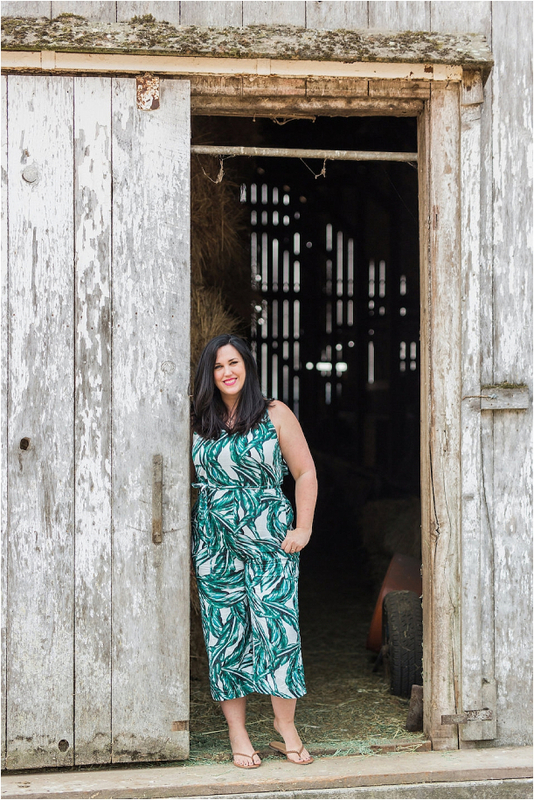 Whether you are headed to a wine country wedding or are having a bachelorette weekend perusing tasting rooms, knowing what to wear can be intimidating. After all, what is “chic?” Just the thought of dressing for wine country can seem daunting, but breaking the looks down while adding your own flair can help you pick an outfit in a breeze and be in proper wine country fashion. I had so much fun visiting Sonoma County while on a wedding tour with Off the Beaten Path Signature Events and Venone PR. Our group of ladies was so wonderful and fashionable as you will see in this post! I loved the different looks each person came up with for the different levels of fashion. Let’s break it down! When it comes to wine country, the term “casual” basically means comfortable, yet still cute and fashionable. Think a sundress, patterned jumpsuit, or even shorts or a denim skirt with a trendy top. Do you feel most at home in a romper? This look is perfect for you, especially if you toss a cardigan on top. Your own take on this wine country fashion style will ensure that you feel good and are dressed appropriately for informal occasions. Heading to wine country with flats or study wedges is a great idea if you are headed to tastings, an informal daytime wedding, or a barbeque rehearsal dinner. This is the one that befuddles wine-goers the most. Chic is defined as “elegantly and stylishly fashionable,” so this style falls somewhere in between casual and formal. It is the perfect opportunity to spruce up without donning cocktail attire, but feel free to dress the look up or down a bit to fit your taste. A not-so-dressy dress or a pantsuit that is both breathable and comfy are good pieces to invest in. If you are headed to an evening outdoor wedding, rehearsal dinner, or upscale daytime wedding, this is the perfect level of style. Plus, it’s the excuse you’ve needed to sport those statement earrings you have been dying to wear! It’s wine country fashion at its finest. If the word “formal” makes you think about prom, just get that thought out of your head! Axe the ball gown and go for something that would fall more into the cocktail dress category. The wine country formal look is ideal for the poshest affairs, such as an evening wedding with a sit-down dinner. A variety of hem lengths and classic pantsuits in black are perfect for the occasion! No matter what your thoughts are on the various wine country fashion styles, be sure of one thing. Staying true to your own style is key. A range of outfits within each look is definitely acceptable. You can choose to go a bit more formal or a tad more casual, but you know what? It will work! So – no matter what – interpret these sections as you wish, and own those looks. You can do it! Just look at that lovely group! So fun and such fond memories. Thank you to everyone who made the trip possible, and I hope you learned just as much as I did about how lovely wine country fashion can be! If you want more fashion inspiration, just click here. joy abou zeid - I love all of these photos and outfits!! Rachel - I love all of these dresses. You guys make them look so good. I would wear so many of the casual looks. Leigh Suznovich - What a lovely group! Love the outfits and looks like it was a fabulous time. 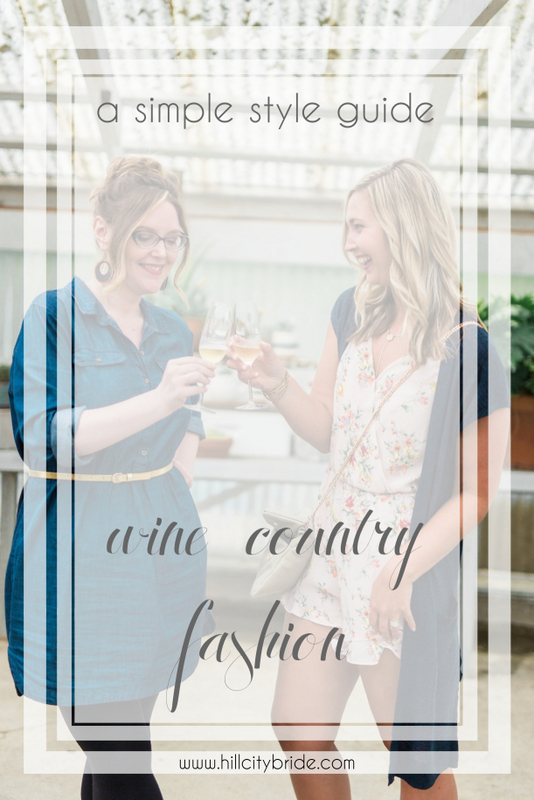 April - So many cute looks for wine country and beyond! Looks like you ladies had a fabulous time too!